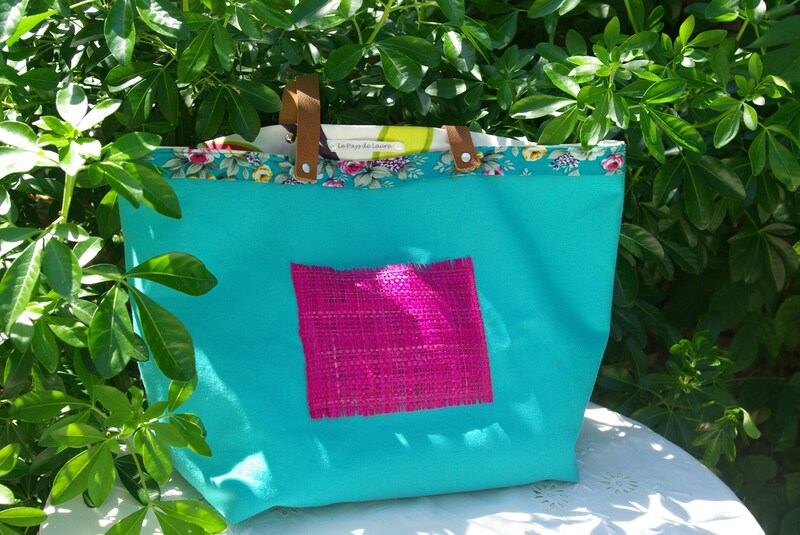 Handmade canvas tote bag in turquoise blue with external pocket in raffia fushia. Cotton lining with floral pattern. Black interior pocket. Leather handles fixed by "double crown" rivets. 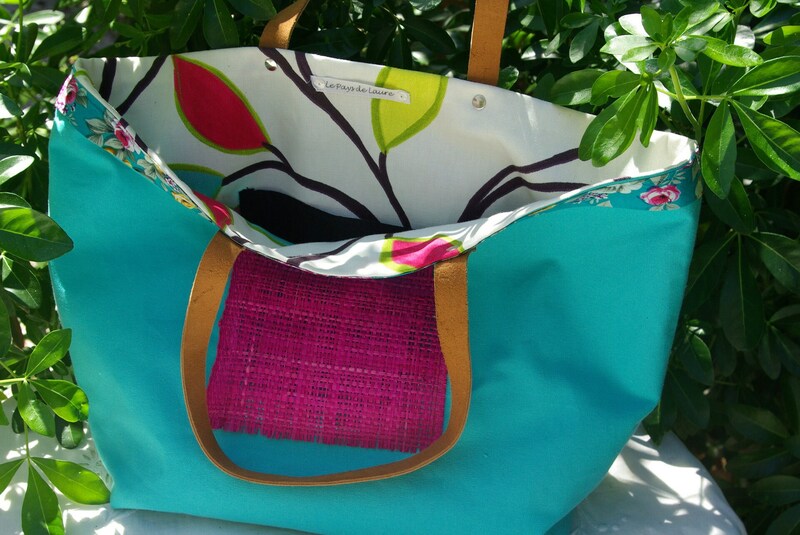 Ideal bag for the summer with its bright colors!